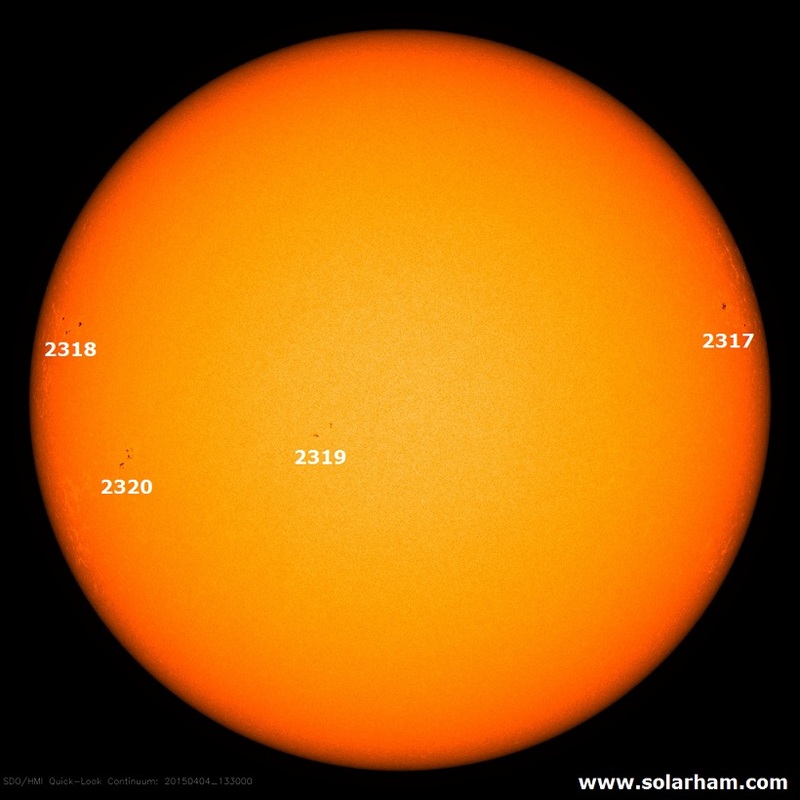 Four sunspot groups are currently visible on the solar disk. The strongest flare during the past 24 hours was the B9.8 flare peaking at 00:33 UT in the NOAA AR 2318 (Catania number 21). We expect further flaring activity up to C-level from this group. A weak full halo CME was first seen in the LASCO C2 field of view at 12:48 UT on April 3. Due to absence of EUV signatures of the CME in the SDO/AIA data at that time, we believe this CME is a far side event that will therefore not arrive at the Earth. The Earth is currently inside the fast flow from the trans-equatorial coronal hole. The solar wind speed is around 530 km/s. As the interplanetary magnetic field magnitude has decreased to values around 6 nT, the geomagnetic conditions are on the quiet to unsettled level, and are expected to remain so.